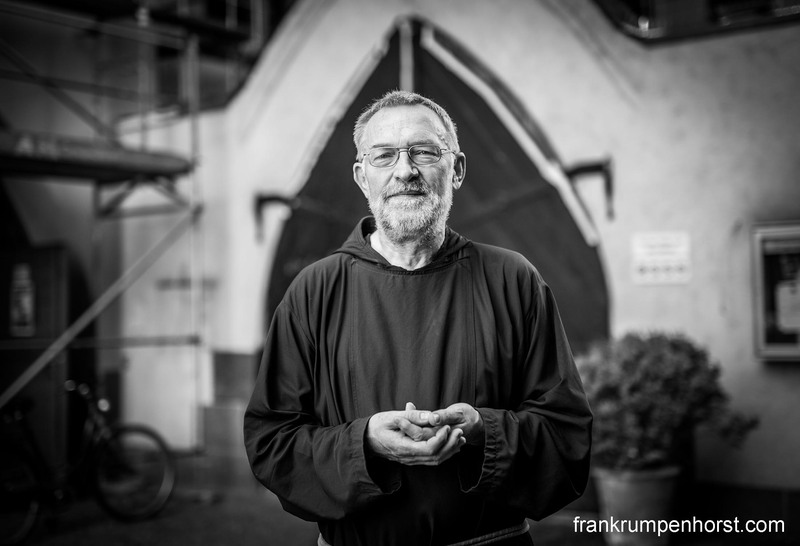 Paulus Terwitte, or Bruder Paulus (Brother Paul), a Capuchin monk and guardian of the Liebfrauen monastery, stands in the monastery’s yard right in the center of Frankfurt, July 22, where the Capuchins and a number of volunteers run the ‘Franziskustreff’, providing daily breakfast for the homeless. This entry was posted in church, germany, monastery, order, Photo, Photography and tagged b-w, black and white, brother paul, bruder paulus, capuchins, charity, church, homeless, kapuziner, liebfrauen, monastery, monk, portrait. Bookmark the permalink.